My first degree was in Latin Studies at the University of Edinburgh. After that I did a Masters in Professional Writing at London Metropolitan University. In 2008 I was awarded the first Michael Comber Studentship for Classical Reception Studies, which was jointly provided by the Open University and St. Hilda’s College, Oxford. 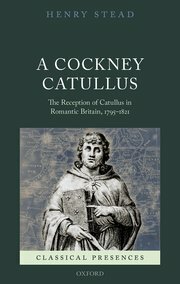 I worked on the reception of the Roman poet Catullus in Romantic-era Britain, which ultimately resulted in my first book A Cockney Catullus (2015). After my PhD I became a Post-doctoral Research Associate of the Archive of Performances of Greek and Roman Drama (Oxford), working for a spell on the ‘Performing Epic’ project. I also tutored undergraduates on 20th- and 21st-century Classical Reception, and taught Latin (beginner to A-level) for Oxford University’s ‘Latin Teaching Scheme’ at two state schools. In 2013 I joined King's College London as the Research Associate on the AHRC-funded project ‘Classics and Class in Britain (1789-1939)’, which sought to illuminate the relationship between the Greek and Roman classics and the British working classes: A People's History of Classics is forthcoming with Routledge as a free and fully open-access digital publication. In 2016 I was awarded a Leverhulme Early Career Research Fellowship, and joined the Arts Faculty here at the Open University, where I'm conducting a three-year research project called: "Brave New Classics (1917-1956)", in which I explore the impact of the Russian Revolution on British Culture through the lens of contemporary engagement with the Greek and Roman classics. The first book to come out of this project will be Cecil Day Lewis and Virgil: The Making of a Laureate -- forthcoming with Bloomsbury. I translate classical poetry and drama. Recent performances include: ATTIS (2015, Oxford, London); PROMETHEUS CHAINED (Sheffield, 2012) SENECA’S MEDEA (Oxford, 2011). 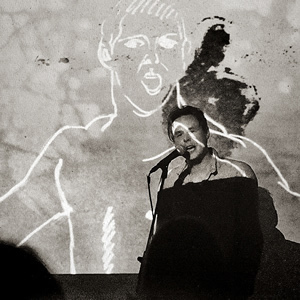 As the director of London Poetry Systems I organise events and attempt to capture and archive various kinds of contemporary poetry and cross-media performance. I work with Dr Jessica Hughes on all manner of audio and video projects here at the Open University. Stead, Henry and Hall, Edith eds.